Very often, one of the most attractive things about a person is his or her confidence. Smiling is the best way to connect with others and show that you are comfortable and confident. Whether you decide to have your teeth straightened or not, try to stop hiding them! Remember what they say “A smile is a curve that sets everything straight!” Chances are, that when you smile, you will start to enjoy letting your emotions fully show. Find a way to let your happiness and self-assurance shine through and you will likely catch yourself smiling more often than usual. There are many minor things that can mar an otherwise good smile. Unfortunately, some of these minor issues may be causing bigger problems than just a crooked smile, such as: cavities, pathological wear of teeth or jaw joint pain. Some of these complications may then require a lot of work to repair the damage that was done, such as: root canals, crowns, bridges or even surgery. This is why, straightening a smile using Invisalign or using braces is often the best, easiest and most desirable alternative to reconstructing a smile. For those who only need minor changes in the bite, Invisalign is the ideal option. 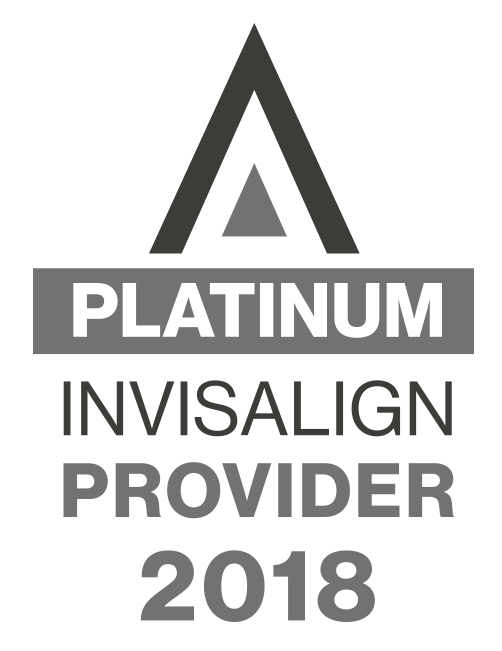 Invisalign trays are clear, which makes them practically invisible and a popular choice for adults. Because the trays are removable, eating, brushing or flossing are not impeded throughout the treatment period. Traditional braces may be recommended for more severe cases in order to correct a problem effectively and efficiently. Thankfully, today’s clear brackets are very small and very hard to see making the entire process much less visible than when conventional, metal brackets are used. There are many ways to help reduce your risk of teeth discoloration, including avoiding smoking and limiting your coffee, tea or red wine intake. Having regular dental check-ups and cleanings is also important to help avoid plaque and tartar build-up. If your teeth are stained after the dental cleaning, you might consider whitening treatments. These treatments can noticeably whiten your teeth in a very short time, helping you accomplish a bright smile. If you are considering trying an at-home kit, talking to your dentist first is recommended. Your dentist will work with you to determine your natural shade and ideal target shade. Whether you want to maintain or noticeably improve your smile, you must follow good practices for dental hygiene. Aside from all of the recommended basics, such as brushing twice a day, you should focus on flossing. Many people never floss because they find it tedious, or it irritates their gums. However, flossing is essential for removing food debris, reducing plaque, and helping to prevent cavities and gum disease. Talk to your dentist or orthodontist for tips on flossing if you find it uncomfortable. Keep in mind that, once your gums are used to flossing, they will not be irritated by it. Finally, be sure to keep up a routine to avoid falling out of the habit. There are several different types of tools you can use, from coated traditional floss to flossing picks and more. Are you ready to have the movie star smile you’ve always wanted? Call for a free consultation with Goldenberg Orthodontics to discuss your options for straightening your smile. Call us today at (512) 863-8580.